Areas of Slave Lake, Whitecourt, Jasper National Park and Grande Prairie are all under a snowfall warning, says Environment Canada on their website. Snowfall and extreme cold warnings are in effect for parts of northern Alberta, according to a weather advisory issued Saturday by Environment Canada. Between 10 centimetres up to 25 centimetres of snow are expected to fall in some regions. Highway 93 north (also known as the Icefields Parkway) between Saskatchewan River Crossing and Athabasca Falls, south of Jasper, is closed due to extreme weather conditions, according to 511 Alberta. 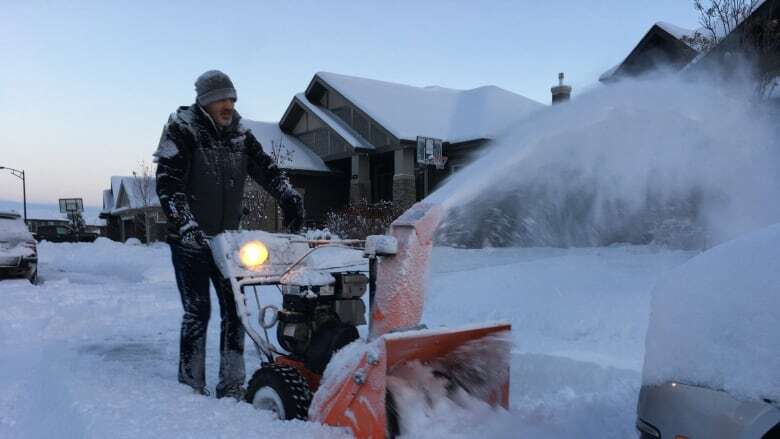 A low pressure system will move into northern Alberta on Saturday, bringing in heavy snowfall into Sunday morning, Environment Canada said. Strong winds and blowing snow are also expected in the areas under the snowfall warning. Fort Chipewyan and Wood Buffalo National Park are under an extreme cold warning issued by Environment Canada Saturday. Temperatures with the wind chill could drop to –40 C to –45 C overnight. Environment Canada said the extreme cold puts people at risk of frostbite. The extreme cold warning reminds people to "cover up" during extreme cold spells. Parts of southern Alberta are under a wind warning, including areas like Hinton, Banff National Park, Canmore and Kananaskis. Environment Canada are calling it "a damaging wind event," with winds of more than 120 km/h expected to start Saturday afternoon. "Damage to buildings, such as to roof shingles and windows, may occur. High winds may toss loose objects or cause tree branches to break," says the Environment Canada warning. Strong winds in southern Alberta are expected to end Saturday evening. For more information, visit the Environment Canada's website.